Shall your Vista look like the 7 Alpha? Then you are right! This pack is autoatically going to make that! It can be that your system can get broken, as it does some deep file modification. Also, it is still alpha and I personally would not use the installer, but the manual way. Anyway. This pack is going to give you the posibility to have the 7 UI and speed on Vista. 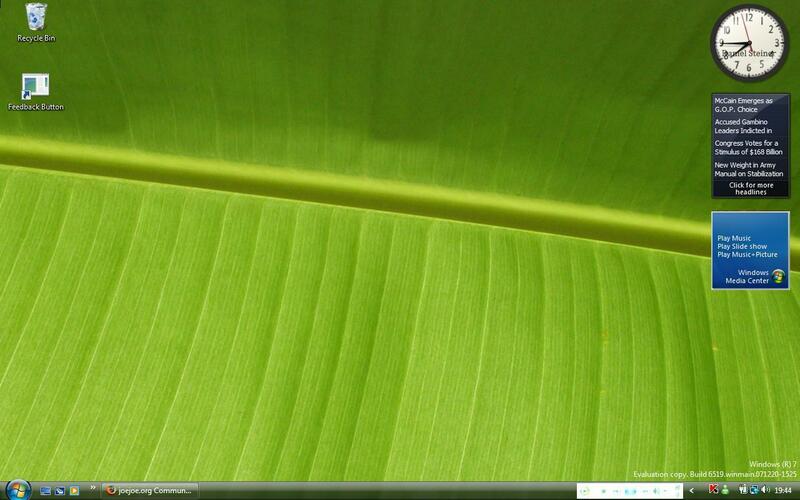 Here you see a simple screen of the desktop. Everyone that wants to help me, tell me on the forum. I want to test it. How shall it accomplish the speed boost? Can I test the gadget? I made the Windows 7 Feedback Icon, maybe you can need it for your package.